Is there a better alternative to MassiveLyrics? Is MassiveLyrics really the best app in MP3 category? Will MassiveLyrics work good on macOS 10.13.4? 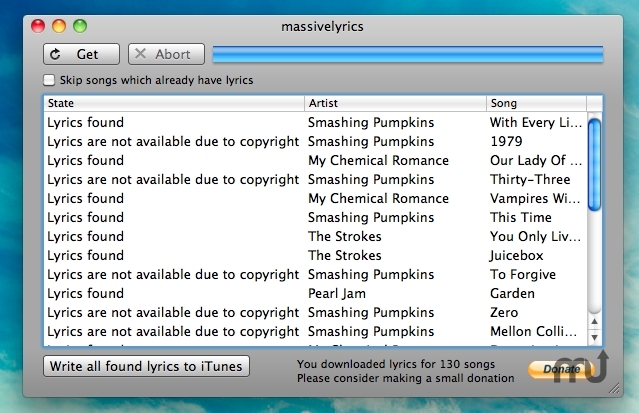 MassiveLyrics will get the missing lyrics of your entire iTunes collection in a couple clicks. No more blank lyrics when you want to see them on your iPod!